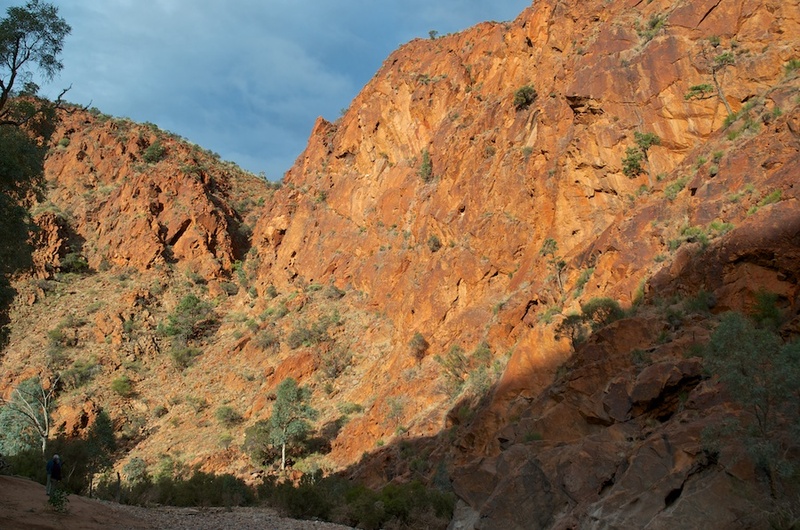 Sunset at the cliffs at Arkaroola Waterhole where we’d gone to look for Yellow-footed Rock-wallabies, but didn’t see any. Having photographed the old dam wall I turned around to find this create trying to pretend that she/he wasn’t there. 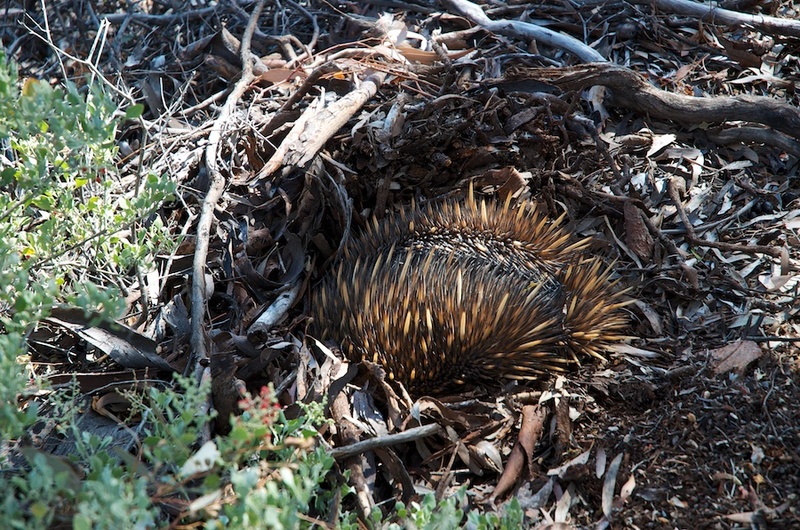 This echidna was digging itself, head first, into the loose leaf litter.